In his Independence Day Speech, on 17 August 1964, Sukarno famously declared the start of what he called the “Year of Dangerous Living”. In the 14 months following that speech, Indonesia was indeed rocked by violent struggles between parties and factions with competing Communist, religious, and right-wing militarist visions for its future, even as Sukarno embarked upon his most radical foreign policy initiatives within Southeast Asia and in withdrawing from important multilateral bodies and organisations. The culmination of all this, of course, was the coup and counter-coup, beginning on 30 September 1965, that led to Sukarno’s fall, Suharto’s seizure of power, and the inauguration of his “New Order” regime that went on to hold power for more than three decades. Contemporary Indonesian history to a remarkable degree turned on this one critical juncture. China has faced similar moments in its recent past – 1953, 1958, 1966, 1978, and 1989 all come to mind – but the current period marks a similar inflexion point in China’s political, economic, and social development. The last time China’s leaders confronted a similar decision point was in the 1990s. Then, the extensive growth fuelled by de-collectivization and the dual-track system of the 1980s had all but run its course. The protests and crackdowns of 1989 had recently concluded. And the repressive and tense political atmosphere combined with economic stagnation to raise social discontent and weaken stability. After Deng Xiaoping’s famed “Southern Tour” and the conclusion of the 14th Party Congress in 1992, a new trajectory of more radical economic reform had been set, but remained to be implemented. It was not until the adoption of sweeping fiscal and monetary reforms in 1994 that China’s path forward toward an export-oriented model of growth, combined with strong centralization of revenues and economic clout, was laid down clearly. And it was only with the 15th Party Congress 1997 and important work conferences in 1998 that the related jettisoning of most of the state-owned economy and the more than 100 million workers it had employed were agreed upon as desirable or necessary steps along that path. In mid-2017, Xi Jinping and the current leadership find themselves at another such decision node. For a decade, Chinese leaders have called for the country to embrace a new development model rooted in domestic consumption, lower exports, and slightly slower GDP growth. Over the same period, China has also sought to redefine it position on the global stage – to emerge in the true sense as a great power, without either destabilising the extant order or becoming a mere supporting player in a resurgent US hegemony. And for at least as long, the CCP has grappled with the uncertainty of succession and elite politics in the post-Deng era. All three of these sets of challenges – economic and social, foreign policy, and elite political – have reached a crisis point at the same time. China’s response will define its trajectory for many years to come on the other side of 2017. China has seen declining growth in the wake of the global economic crisis of 2008-2009 when its export-oriented model came under severe strain. During the crisis, the government responded to unprecedented drops in exports with a drastic fiscal stimulus. This strategy worked in the short term, but export manufacturing sectors never really recovered, the many jobs that were lost have not returned, and growth rates have sputtered as stimulus has wound down. What is worse, China’s prolonged crisis response gave rise to two new problems: burgeoning debt and capital flight. In the past year, the prospect of bureaucratically imposed unemployment in the state sector returned, with the government floating plans to lay off millions of workers in heavy industries like coal and steel. More recent slumps in global demand have hastened this trend and sharpened the state’s resolve. Meanwhile, as more and more jobs continue to be outsourced from China to lower-cost economies across Southeast Asia, South Asia, and Africa, the pressure on non-state employment that spiked during the 2008 crisis has not abated. The deteriorating picture for workers throughout the economy places increasing strain on China’s still incipient social welfare and assistance system, while a rapidly ageing population draws ever more resources away from other needy groups in the form of pensions. Addressing one set of challenges is likely only to increase pressures elsewhere. Reining in China’s unmanageable debt will exacerbate employment problems and leave less funding available for social assistance. Stemming capital flight may well require raising interest rates, which would make debts harder to service and could curtail investment necessary for sustaining or boosting employment. China’s economy is evolving in some of the ways its leaders and planners have long desired. But unintended consequences in other areas are threatening the stability and even the integrity of the entire system. The next 12 months could well see China placed either on a more solid footing or on a path toward true social and economic crisis. For most of the first 30 years of its existence the People’s Republic was a “breaker” on the world stage, a revisionist power in the classic mould typified by the USSR, but with a tendency to eschew even anti-establishment alliances. This changed during the 1970s, as Deng Xiaoping and other moderates spearheaded China’s moves to join the United Nations and to normalise relations with former enemies, including the United States and Japan. China’s new role as “taker” of rules and institutions shaped by others, or even as a bystander to most global events, was relatively easy to play (if not especially fulfilling or exciting) for more than two decades. China’s third act, that of “maker”, into which it has been trying to step for the past twenty years, has proven more difficult to pull off. Beginning with several key decisions in the mid-1990s, Chinese leaders came to a consensus that seeking leadership roles in international organisations, playing a more assertive role in regional affairs, and launching significant diplomatic initiatives in places as far away as Africa and Latin America were essential steps in establishing China as a respected world power. This effort shifted gears during the 2008 economic crisis. By that point, China had gained membership in a variety of institutions and began to see itself as a potential shaper of new rules and structures in a new multipolar world order arising after US hegemony had begun to fade. 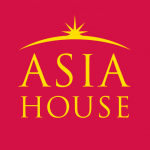 The recent founding of the Asian Infrastructure Investment Bank and the much-vaunted “One Belt, One Road” initiative are examples of this new boldness. The difficulty is that all these new moves have yet to bear sufficient fruit for China to be confident in its enhanced global status. At the same time, with greater status comes greater responsibility – and China has come in for significant criticism for failing to lead constructively on the resolution of vexing problems in places as diverse as Syria, Iran, and North Korea (which it is perceived to have garnered important influence). Finally, China’s more assertive posture has brought it into confrontation with the United States and regional powers in the South China Sea and with Japan in the East China Sea and elsewhere. These renewed security tensions, combined with China’s reluctance to play a leading role internationally, have undermined its already ham-fisted and clumsy attempts at extending its “soft power”. Yet, the very moves that might reassure adversaries and curry favour with a broader set of countries around the world would also undermine the agenda of regional and global ascendancy China’s leaders have sought to advance for at least the past decade. Just before he came to power, Xi Jinping had already had to deal with his first political crisis in Bo Xilai’s downfall in Chongqing and the subsequent unrest within what had been an extremely powerful faction and its associated networks in Spring 2012, which amounted to the most significant elite political conflict since at least 1989. Xi’s response to this and other early challenges was to launch the widest and most thorough political purge in more than 25 years, under the guise of an anti-corruption campaign. Led by the CCP’s Central Discipline and Inspection Commission, chaired by Politburo Standing Committee Member and key Xi ally Wang Qishan, the campaign’s victims have notably included retired civilian and military leaders such as Zhou Yongkang and Xu Caihou. These events have set the stage for elite political crisis later this year. The CCP is due to convene its 19th Party Congress in Fall 2017. According to conventions in place for the past 20 years, new leaders should be designated at this congress to replace Xi Jinping and Li Keqiang when their terms expire in 2022. Also at this congress, all members of the current Politburo Standing Committee over age 68 – including all of the current leadership other than Xi Jinping and Li Keqiang – should retire. But Wang Qishan, should he retire, could be subject to exactly the same sort of reprisals or purge that he has launched against his predecessors. Many observers thus worry that Chinese elite politics could be at an impasse and the 19th Party Congress might prove difficult to convene. Even if the Congress comes off without a hitch, important questions remain in elite politics. For one, will Xi Jinping seek to establish himself as paramount leader beyond his conventional second 5-year term? Also, will Wang Qishan have to be sidelined somehow in order to clear the logjam in retirements, or will he stay on past the normal age and subvert what had been a pretty solid convention? Only when these issues have been addressed can we even begin to consider who might rise to the top as potential sixth-generation leaders – and as of now, there are no obvious contenders. 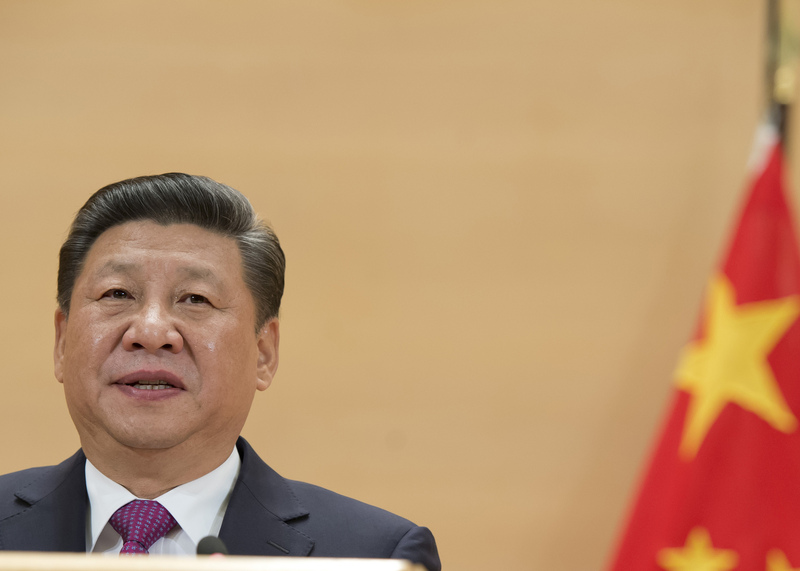 Xi Jinping is poised for breakthroughs on many fronts, if he can successfully navigate around the many mines and obstacles that stand in his path. As for Sukarno more than 50 years ago, this year presents what is likely Xi’s best (and perhaps only) chance to shake up Chinese politics and society in ways that could put it on a new and improved trajectory. An explosive crisis in any one area of foreign policy, elite politics, or political economy, which could be rendered more likely or more severe by precisely those measures needed to head off a similar crisis in another area, has the potential to threaten CCP rule more fundamentally than at any other time since at least 1989. Though the odds of success cannot be calculated, the stakes could not be higher and whatever unfolds in the coming months may determine China’s future for many years to come. William Hurst is Associate Professor of Political Science at Northwestern University. His research focusses on labour politics, contentious politics, political economy, and the politics of law and legal institutions, principally in China and Indonesia. Image credit: CC by UN Geneva/Flickr.